You know who the hell this is. Wildly unbelievable though it may be, the Detective Pikachu movie is definitely a real thing that is coming to theaters. “What proof do you have?”, you might ask. Well. Here’s the first trailer. What stands out most about this glimpse at the first live-action Pokémon movie is how...realistically the actual Pocket Monsters are rendered. 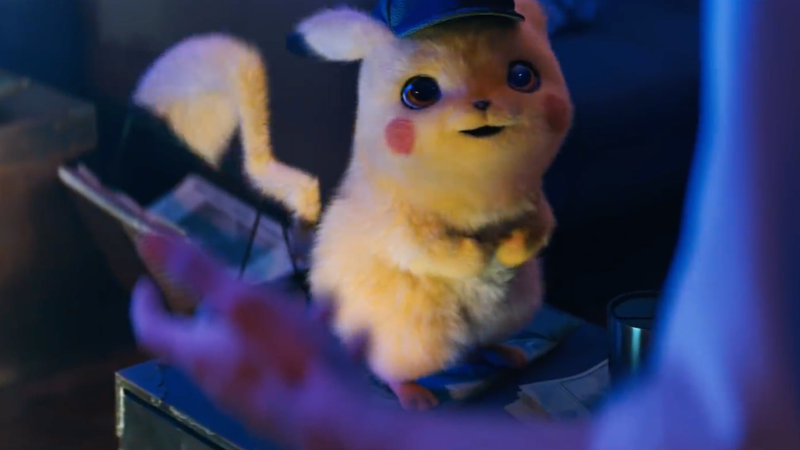 It’s not that they’re really, you know, life-like—but they (at least Pikachu) are firmly rooted in the uncanniest of valleys that will both creep you are and maybe, just maybe, get you hyped for the film, which sounds surprisingly...interesting? Pokémon: Detective Pikachu revolves around the relationship between Tim Goodman (Justice Smith) and a foul-mouthed Pikachu detective (voiced by Ryan Reynolds) as they search through Ryme City to learn what happened to Tim’s missing father. Detective Pikachu and Tim have a unique relationship because, for reasons neither of them initially understand, they’re able to communicate in ways that most humans and Pokémon aren’t usually able to. 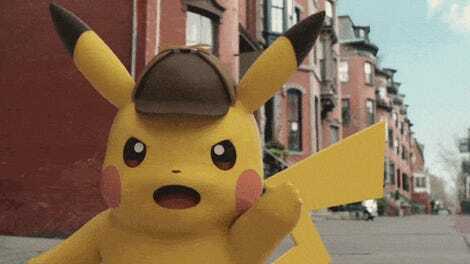 While everyone else is only able to hear the mouse detective brightly saying “Pika, Pika,” Tim’s able to understand every single word his new partners utters—much to both of their surprise. Edit note: an earlier version of this post stated that Detective Pikachu, like Team Rocket’s Meowth, was able to speak like a human, when in reality it’s that is uniquely able to understand what Pikachu’s saying.